Do you want to earn money from cryptocurrencies? Of course! Well then, buy some cryptocurrencies that keep burning themselves. 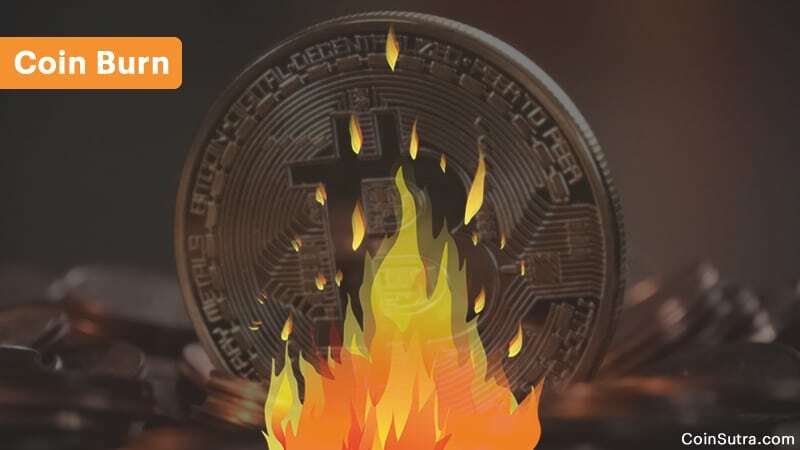 ‘Burning’ in another novel way of earning from cryptocurrencies. For those of you who are aware of proof-of-work and proof-of-stake, coin burn as something similar to proof-of-burn about which I am going to talk later in the article. However, if you don’t understand proof-of-work and proof-of-stake, consider going through the link below. It will help you understand why do we burn coins in cryptocurrencies. Coin burn in cryptocurrencies means sending some of the coins of native cryptocurrency or some other currency to a public address from which those particular coins can never be spent because the private keys of such an address are unobtainable. This public address should be available on the blockchain for anyone to review such a transaction. I am going to explain both one by one with the help of an example that you can very well relate to. But before that, I need to explain the proof-of-burn mechanism using which the coins are burnt. Also, there are many types of proof-of-burn but here I will provide just one simple explanation. Proof-of-burn is a method for distributed consensus and an alternative to proof-of-work and proof-of-stake. It can also be used to bootstrap one cryptocurrency off of another. The idea is that miners/participants should show proof that they burnt some coins i.e., sent them to a verifiably unspendable address. This is expensive from an individual point of view, just like proof-of-work, but it consumes no resources other than the burnt underlying asset. And in some cases, you also get the special right of mining blocks in weight of the coins that you have burnt. Think of it as a virtual mining set-up. This simple form of proof-of-burn that I explained above is implemented in Counterparty cryptocurrency (XCP). XCP was neither mined nor sold in an ICO. Rather, it came into existence by using a proof-of-burn method. This simply means that a certain amount of Bitcoins (BTC) were sent to an unspendable address, and in exchange for these BTCs, Counterparty tokens (XCP) were generated on the Bitcoin blockchain. You can see it on Bitcoin’s blockchain explorer where the BTCs were sent – XCP Proof-of-Burn. This was done to avoid pre-mining or ICOs and also to reuse the energy which is already spent in mining a Bitcoin. As BTCs were burnt, they can never be spent again which gives XCP some value. Consider it like exchanging Gasoline for CNG where both are the fuel. This method of coin generation also gives a fair and equal opportunity to everyone (including the founder of the project). Proof-of-burn or burning of coins/tokens by sending them to an unspendable address is applied to different cryptocurrencies. This is purposely done to create an economic scarcity so that the token/coin HODLers benefit from it. Therefore, another way of rewarding their investors is by creating a scarcity of supply, hence driving the demand up which is bound to reflect in price appreciation of each token or coin that the investor is holding. The cryptocurrency exchange Binance employs this burn of BNB tokens every quarter. Read more about Binance token-economics of coin burn here. Another scenario when coins are burnt is after the ICOs or token sale if the all the coins/tokens designated for the sale are not sold. This is done to maintain fair-play. Usually, the coins/tokens appreciate in value after an ICO or token sale. And in a scenario where not all coins/tokens are sold, it gives the company an unfair amount of free money which they can get by selling the remaining tokens/coins in the free market at the appreciated price. To avoid this scenario and keep things fair and square, the unsold tokens/coins are sent to an unspendable address. The Neblio team did the same thing by burning the unsold NEBL tokens on this NEBL address. Coin burn or proof-of-burn has several applications, depending upon different scenario you want to use it for. Also, there are quite a few cryptocurrencies that have implemented the proof-of-burn directly to avoid ICOs or token sales. And there are many out there like Binance that frequently and purposely burn coins to reward their token holders. I particularly find coin burn a good thing and like holding some tokens/coins that implement some type of burn because it almost guarantees decent returns. That is it from my side in this article. If you are looking for more awesome content from CoinSutra, join our Telegram channel to get instant updates. This article is pretty impressive. I am new in blockchain and want to learn how the whole thing works. I have a question regarding Burn coin. How it gives benefit to to coin holder? Like i have 200 quantity of XYZ coin if i burn them all by sending it to an unspendable address how can it will be beneficiary for me? No benefit for you but for others who are holding XYZ because it is the law of supply and demand. When supply decreases, demand increase or remains constant then you get price appreciation.